What is Economic Order Quantity (EOQ? EOQ procurement helps with stock optimization by ensuring that items are only ordered when required. Less frequent orders will ensure a good turnover of existing stock, helping to free up capital and ensure profitability. Ensuring that stock is always in circulation will ensure inventory optimization and reduce holding costs, and this will help to determine the most efficient reorder point when requesting new stock. Knowing the ideal reorder point for items will lead to a reduction in the total cost of stock while maintaining high levels of customer satisfaction. In order for your company to perform at its peak levels of service while maintaining a low overhead, your company should be optimizing its warehouse stock locations. One way to maximize profitability is by strategically arranging the warehouse so that fast-moving items are located near the shipping area while obsolete stock is in the back. Another is by more accurately forecasting trends and seasonality for the items being stocked. 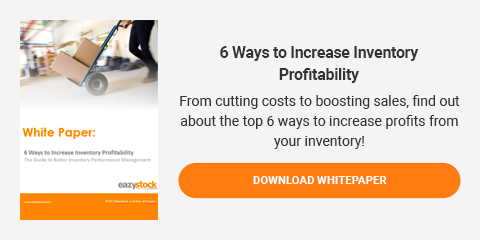 Most traditional inventory management systems do not have the capabilities to optimize these metrics for distributors, so they have to calculate them manually via Excel or utilize inventory optimization software. Yet another step towards warehouse optimization is by setting up automatic reordering points so that you never have to worry about missing a customer order ever again. All in all these are all facets of EOQ, and all of these management functions can be easily managed in a cloud-based Inventory Optimization Software.